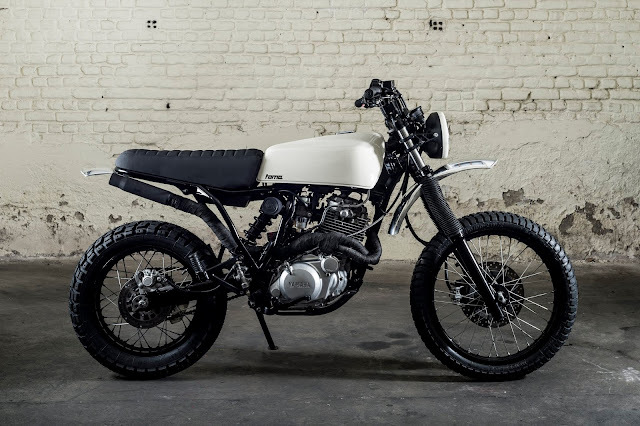 Today we are featuring a light scrambler made out of Yamaha XT 600 from Belgium. This bike is built by Toma Customs. 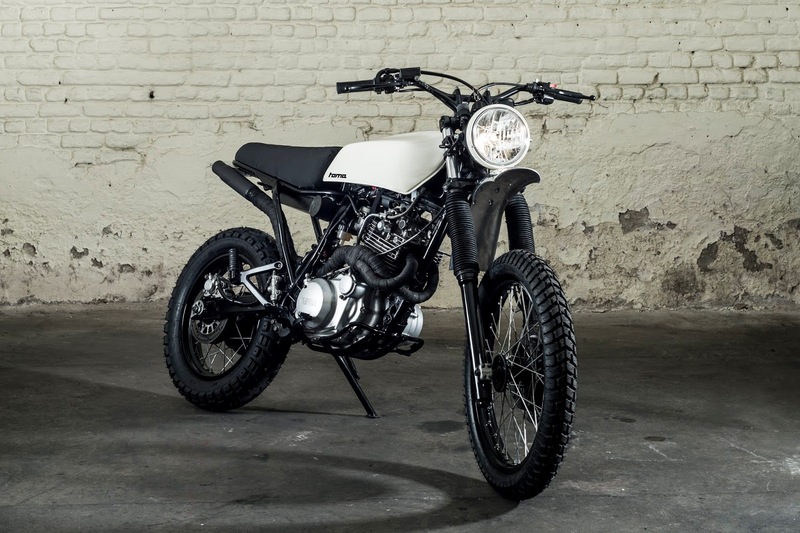 Their client's first idea was to turn a Yamaha XT 600 into a light scrambler for weekend rides on small roads, paths and in the woods. He wanted the outlooks to be fun and elegant, and the use to be easy to ride on, resistant and relatively performant. He also specified that the tank have a significant autonomy so he could make trips of several hours/days in the woods without having to refuel too often. Creating a very high seat height as their client is really tall. The first thing they went looking for was the gas tank. So, after several tests and researches, they found a tank of Kawazaki 500 that would do the trick. But, as on this XT600 model, the oil tank is integrated in the frame under the gas tank, it was thus necessary to rework the Kawazaki 500 gas tank so that it fits to the frame with new fasteners that they created. After the tank was in place, they shortened the rear part of the frame and started to work on the design and creation of saddle.On the Customer's request they integrated gel in the seat foam to allow him to ride hours off road in absolute comfort. The finish and covering is in Alcantara leather. They also raised the handlebars to allow a stand-up position while off road riding. 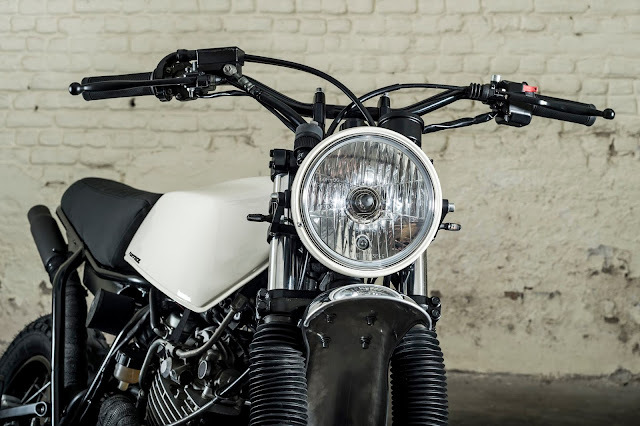 They adapted a front mudguard and a tailor-made rear fender in a retro spirit. After all this was done, They decided on the exact color with their costumer and went for a vintage white to give a retro look to the bike. The bespoke exhaust line is covered with an exhaust wrap to give the bike a ruff touch. All the electronics components have been replaced by new and more minimalist elements (headlight, indicatorlights, taillights, electronic speedometer, lithium battery). They have also mounted enduro tires that allow comfortable road use.